Don’t you feel as though we’ve been through something together this year so far? 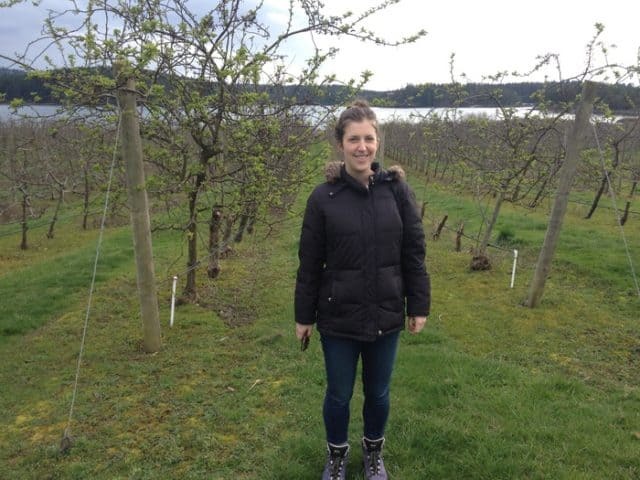 It has been a remarkable year for women and a remarkable year for cider. This year, along with record-breaking cider production, the industry harvested progress for the women in our midst. 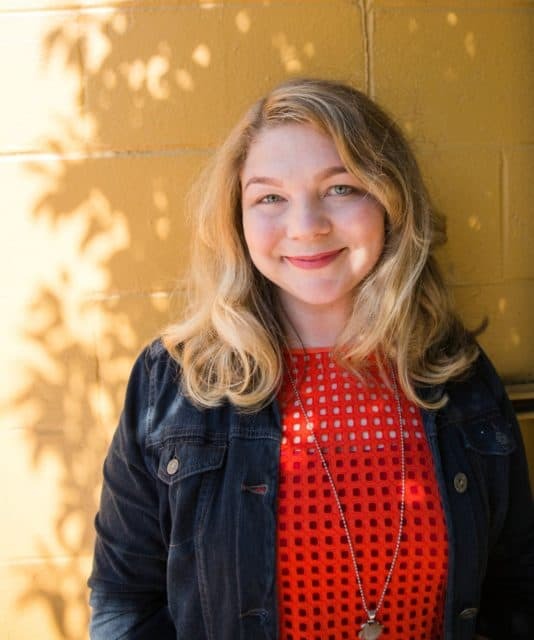 We’ve seen the United States Association of Cider Makers (USACM) bring on Michelle McGrath as its executive director and the Northwest Cider Association (NWCA) place Emily Ritchie in its lead position. Not only that, but Ria Windcaller is providing the soundtrack to it all, now nearing the completion of her successful first year of the Cider Chat podcast. In this special edition of Women Making Waves in the Hard Cider World, we celebrate our harvest. Cider Culture met with NWCA’s new executive director, Emily Ritchie, earlier this month during Washington Cider Week. We got straight to work testing her with our favorite questions for women in the cider industry. Something with a bit of sparkle. I am never still. Cider lets me connect to people and the world beyond my social sphere. When I meet people from other parts of the country, or the world, I often ask them about the food cultures there. I find cider is a great conversation starter and gives me a window into how other people live. Through that, cider gives me perspective. Tom Oliver is the guy who convinced me to dive into the cider industry in the Northwest. A few years ago, I was visiting him on a casual tour of Herefordshire cideries and we got to talking and really hit it off (who doesn’t get along with Tom, really?). He steered me toward the NWCA and the great community I didn’t know was right in my backyard. Tom invited me back to Herefordshire this past May to hand out the awards for the Big Apple cider and perry trials in the little village of Putley. It is a charming place with hundreds of years of cider history and cider orchards as far as the eye can see. I was fascinated by the competition. The dozens of ciders were judged by their peers and they were traditional ciders, with the entry categories only varying based on sweetness levels because most people there don’t make flavored cider. NWCA competition categories are very different with the majority of our ciders having some added flavor. The English welcomed me heartily, touring me around orchards and cideries. My next trip will be to Normandy and Brittany with some of my NWCA members in 2017. “Cheese was my gateway to cider. Several years ago I decided to take a break from graduate school to work selling Rogue Creamery’s blue cheese at various Portland area farmers’ markets. Turns out I was quite good at selling cheese (because I love it!). I used to trade the leftover cheese samples for half-empty bottles of cider from the Wandering Aengus vendor at the end of the market. I went home every day with cheese and cider. It was the best summer job ever. I was hooked! That cheese gig unveiled my passion for agriculture. I took a job in Hood River, Oregon, advocating for farmers and for a strong local food system. Hood River is prime apple and pear country, so I was working closely with orchardists. I had my ear to the ground for food trends, so when cider started blowing up, I brought in a few cider apple experts to meet with the local orchardists and cider makers. I love the variety and food-friendliness that cider offers. My favorite lunch is a BLT on sourdough with a semi-sweet cider. It makes sense that food towns like Portland, Seattle, Chicago, Los Angeles and New York have burgeoning cider audiences. The pairing options are delightful. With a unique and affectionate voice, she joins us from Ciderville, her imaginary world that just means all of us cider people and everything we’re doing. Normally it is she who asks the questions, but this time Ria was subjected to our curiosity. West County’s Redfield. We’re both from New England, look good in red and savor a good chat. When I met Teddy Weber of Tin Hat Cider in Vermont, I was pretty tired from a long drive and was sorting through my own feelings after a long talk earlier that same day with a curmudgeonly cider maker. I was definitely in a “Cider Going Down” mood. I needed to vent, but the joyful man standing before me was looking to hear that gal on Cider Chat who promotes “Cider Going Up!” Luckily, my pendulum always swings toward happiness and soon we were tromping about in his orchard and chatting up the promise of his freshly pruned trees. We helped each other that day, but then again I think the mighty pear and apple trees on that hillside also deserve a bit of credit for lightening up our hearts. During the first year of CiderDays in 1994 my buddy, Frank, and I volunteered to do a cider making demo at a cider house and orchard. Folks kept walking by and saying, “Nope just came to pick up my jug of juice.” As we were ready to close for the day, three patrons came walking in. Without a second thought, I locked the door and announced, “No one leaves until you learn to make cider.” After the initial shock they reluctantly let us do our demo and hurried out the door. 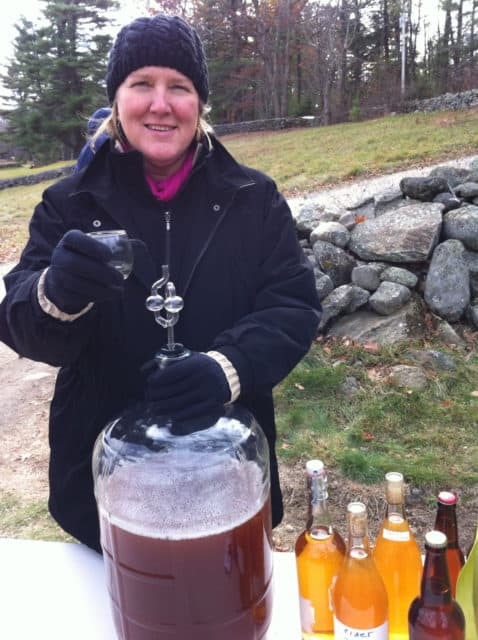 Each year since interest has grown exponentially, but I will never forget that day when “for the love of cider” I learned the skill of being a badass cider maker who doesn’t take “No” for an answer. Much gratitude goes out to those we interviewed for our harvest celebration this month—our cup runneth over!—and a huge amount of gratitude to all the other undiscovered women out there in Ciderville who are busy advancing the craft. We can’t wait to hear from you. This is a cool series of posts! I just discovered it and will go back and read the first three as well. The cidery I work for is family-owned but primarily run by a very sharp lady, and my coworkers and I are all women, so this is really cool to see. Cider ladies rock!